Completing Antoinette's La Croissainterie series is three new flavours - Charcoal Kaya Croissant, Matcha Croissant and Quatre Fromages (4 Cheeses) Croissant. The 3 new members joined the other 4 members - Salted Egg Croissant, Chilli Crab Croissant, Scallion Arlette and Salted Caramel Croissant which was launched earlier in February and March. 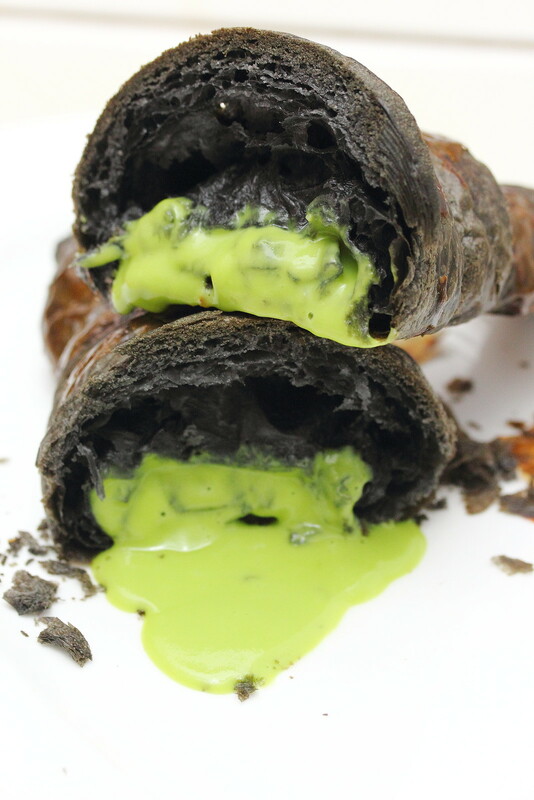 Inspired by the traditional breakfast of kaya and toast, Chef Pang created the charcoal infused croissant. 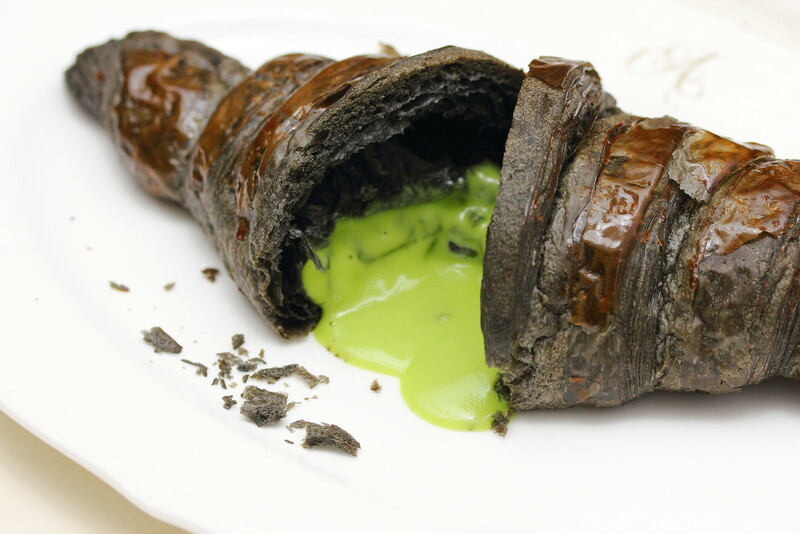 The Charcoal Kaya Croissant ($6) houses a delightful lava of Antoinette's house made kaya. 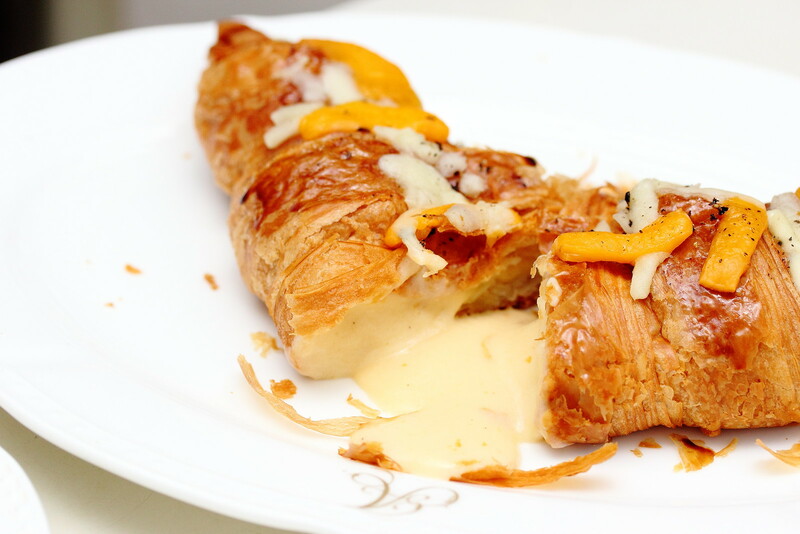 The Quatre Fromages Croissant ($6) comes with 4 different types of cheeses. There are cheddar, gruyere, parmesan and mozzarella. The well balanced sharp, savoury and salty flavours received many thumbs up from the group. 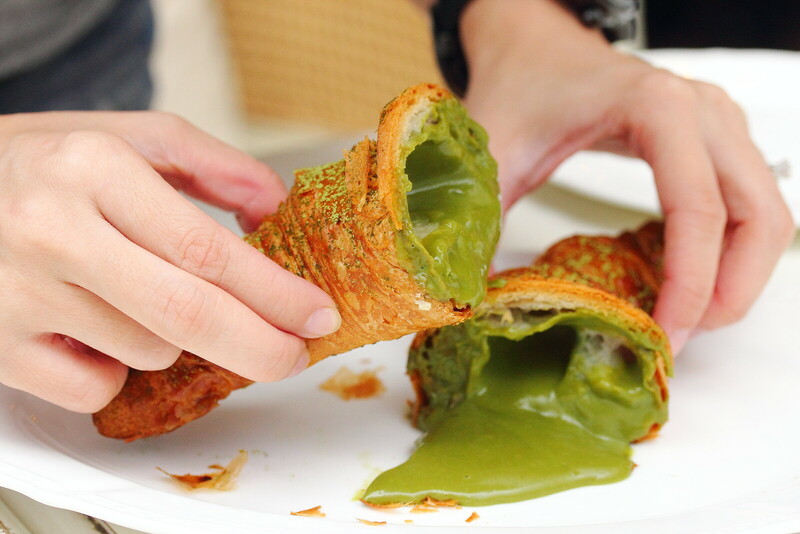 Using high quality matcha powder from Nishio in the Aichi prefecture, Chef Pang created the Matcha Croissant ($6) which comes with a smooth concoction of custard and matcha powder. Green tea lover will like the rich and bitter taste of the matcha.